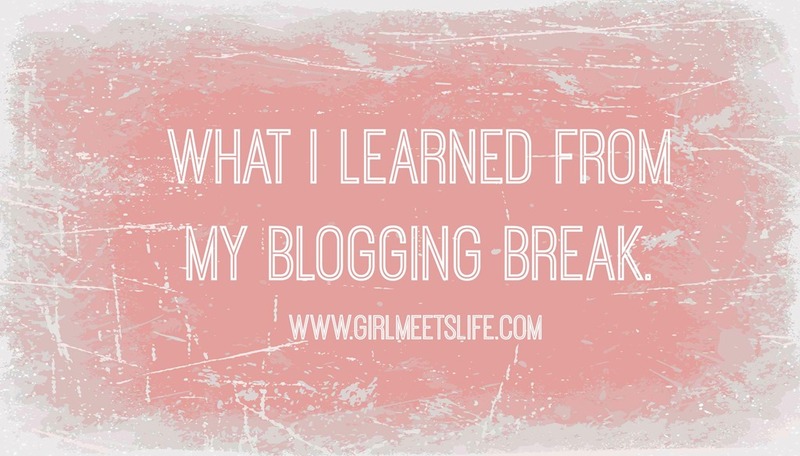 What did I learn from my blogging break? I learn something different everytime I take a break, there are various reasons each time. This time I learned that I wasn't handling my life well. There were things coming up that I just wanted to ignore... Ignore them I did by filling every moment with social media. If I did that I didn't have to deal with what was in front of me. I have done this with numerous other things over the years and now I used blogging and social media. It's not a bad thing to be involved... I love being able to interact with each of you and getting to know you all more personally makes me happy. I have decided that I will continue to read blogs but maybe comment a little less... I will always be there supporting each of you but I also need to have time to care for myself. I had given up on walking and eating healthy (another coping mechanism) ... this week I changed it and I want to keep on this path. In this last week I walked over 50 miles (100,000+ steps), which ended up being over 10 hours of active exercise. I know that won't be possible every week but I am commiting to at least 5-6 hours per week and I'd also like to get 50,000-60,000 steps in. I think these are strong and attainable goals. I'm setting myself up for success, I have NO desire to go back to where I was in my life... I was not happy and admittedly I'm not all that happy at the moment. However; saying this I know with a surety that I never had a chance of being happy where I was... but today that happiness is definitely a possibility in the future. As for the guy, he will remain 'the guy' for now and for some time... Building a relationship is difficult enough as it is, bringing social media into it early on only challenges it more. Right now it's good, we are committed and happy with each other... He makes me smile and he's told me that I make him very happy too... we've both been burned but we both want to get passed our past and live in the present. What I learned from my blogging and social media break was that I can't ignore what's going on around me by filling up every minute with busy things... I need to make time for me to think and clear my mind daily... Walking, meditation and prayer are the three things I'm going to do for me. Dear Launna, I am glad that you have figured out what is best for you. Thank you so much for sharing. Sending you a hug. I'm so glad that your blogging break was a success - I am glad to see you back though! I'm going on vacation in a few weeks, and while I have posts mostly written and scheduled, I think I'm going to stay off the computer and enjoy my break. I know it's easy to escape real life through social media, but I'm glad you figured out you weren't on the right track, Launna. the selfish part in me is glad you are back, but I hear what you are saying. social media can be a distraction [like anything else], and yes, talking about the new guy may be problematic. I usually stay away from things that are too emotional, too unclear, to ambiguous on my blog. life changes too quickly. and what looks good today can look bad tomorrow. and who wants to explain that or backtrack. plus what happens when real life people read your blog? I love writing and sharing. it's public therapy [which I don't know what to think about yet, are we all total narcissists? is this the new normal?] but I sometimes consider writing somewhere anonymously. it's not always easy to be really honest about what you think or feel when people know you, your name, your face. Breaks are good. They give you a chance to catch your breath and refocus. We all have to do what is right for us. 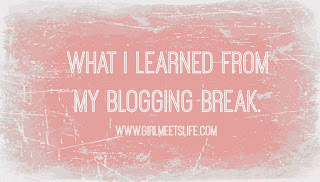 It's wonderful that you learned something from your blogging break! Sometimes we all need breaks in life, to realize what we've been neglecting. Most of the time it's ourselves! I'll admit sometimes I think of being kind to myself and being kind to others as two separate things--but this post was an eye-opener that they're not different at all. I've realized personally that walking, meditation, and prayer help so much. Sometimes we need to let go of the overwhelming exterior factors and focus on ourselves. It's not selfish at all--you have your physical, emotional, and spiritual needs to meet in order to be healthy. As for happy---maybe you're not happy right now, and you know what? That's okay. Life is about struggling and learning. Of course it isn't always easy and you're not going to feel great every single day. I like to use the word joy to describe how I feel now. The quote "“Pleasure is always derived from something outside you, whereas joy arises from within," is what helped me understand the difference between happiness and joy. It's good that things are going well with the guy. It isn't best to rush into things, but taking small steps to realizing if he is the one who makes you happy and is right for you is always best. I'm so glad that your blogging break was therapeutic for you. You deserve only happiness and freedom in your life and it seems as if you are on the right track to finding these things. I am happy for you. I hope it is onwards and upwards for you from now on. I was so glad to see your post this morning! I think you are wise in so many ways! Putting yourself first is a definite good idea and you were wise to see what you were doing to just cope and get by! I think your goals are achievable and I know by now that having those challenges motivates you! Having you to try and keep up with on Fitbit sure motivates me!!! I do think you are wise not to live your life on social media, especially with the new relationship. Those things are difficult enough without having others judge and comment! Sounds like your break was productive. It is so true that you need to take care of yourself. No one else knows what you really need except you. Un affettuoso saluto, carissima Launna! Mi piace il tuo blog, adoro leggerti. DEUS é contigo amo o seu blog sucesso. Launna. I'm so happy that you're doing well and staying on a better side. It's okay not to walk or eat healthy as always. When I'm busy I can't do all either and that's fine with me too:). Did I really read that you are now also do some meditate? Oh that is more than wonderful Launna please continue on doing that because the power of meditation is help me walks through with many of human life's issues. I'm super glad you have done that too:). Wish you the best of all:). I'm happy this break was useful for you, dear Luanna! *applauding* I hear you there. I have one day a week I blog. That's it. It's scheduled and planned for, and beyond that, I try to stay away. Too much life happening around here. Launna, very happy that you're figuring everything out. Social media can be distracting and a break is always necessary. I hope you find that balance. I am glad that you are back Launna! Great to hear that you have learned a lot during your break. Sometimes it is good to take a step back from blogging! I know it! Blogs take so many times. Too much. I take breaks all the time lol and I completely understand what you are saying, sometimes getting more followres, talking to more people, getting more comments and feeling like people like what you have to say can get kind of addictive and it requires too much work. I also found myself in a similar situation where I didn't spend any quality time with my husband, i would just go to work come back home and work on my blog/answer comments/ find new people. Our relationship was hurting a little bit so I decided to put my priorities straight. I want to get back to blogging in a regular schedule but probably only once a week so I have plenty of time to work on content and plenty of time to answer my blogger friends :) I love your goals or getting so active! all those hours is so crazy! I'm so proud of you. Welcome back and good for you for putting yourself and what you need to stay committed to what's important to you first!!! Welcome back! Happy to know the break helped you figure things out. Put yourself first and take one day at a time. Good to see you back and to read another wonderful post from you. I think kindness should be make like jeans...never goes out of style. I love this so much and welcome back! We missed you so much. Glad to see you again! Nice post! Glad to see you again, truly! 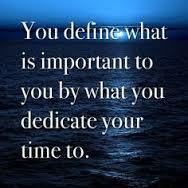 I am so happy to know that, you have started living your days and moments meaningfully! 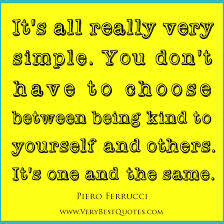 That is what all we need- to face life and people (we love and care) more clearly and closely! Wishing you great healthy and loving moments! It's important to take care of yourself first. You do what you feel is best for you. Welcome back dearest Launna!!! I'm glad that you have learned more during your break!!! I'm very happy for this post. I'm glad that your blogging break was a success, but I missed you. thanks Launna for sharing this post!! really rich and blessed!!! It's important to take a break a couple time's. This summer I blog not that much as last winter. And I love it haha.. I don't feel like I have to blog to make other people happy! Passando para te deseja um final de semana abençoado. Hi Launna! I'm glad to have you back on blogging! As always, you say words that keep resonating in my head after reading your posts like your thought on fillinf time with social media... I've never thought of it in that way but it totally makes sense! And even worst, I might be doing the same subconsciously 'cause I do have a long list of things I should be doing as well. Hello Launna! Welcome back! I hope that everything goes fine for you. I also need time to think and clear my mind daily, I think you are in the right way. Lots of hugs! We all have to take time for ourselves, but that's hard to do with so many other things to distract us! Maybe it just means doing something you love. I used to go to the gym every day and walk on the track and that was my "me" time. Now I walk on my treadmill and read...I guess that's my time now! 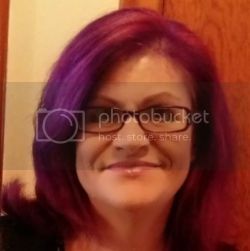 Hi Launna, just popped over from Blogoratti's blog to meet you. I understand where you are coming from and want to encourage you to keep doing what you are doing; love yourself and be who you are. Let your light shine and the right man will see it when the time is right. You do that by just being true to yourself in all instances. God bless you! Blogging can be both time consuming and the fun side of life. It's easier to ignore all the things that are more relevant in our lives. pode ser tão verdadeiro e “real”. Hi Launna ... I had a few days away recently and it does re-charge the batteries. Life is all about balance but is it easy to achieve? No is the answer. So many outside interests or 'asks' on our time. We must at times step back and review our situation. Great to see you posting after your little break from blogland.